What Are The Dangers Of Radon In The Home? The Environmental Protection Agency has spent years trying to raise awareness about the dangers of radon in the home. Yet millions of people still don’t know what it is and how dangerous it is. Radon gas exists all over the United States. One in 15 houses contains radon gas, which is about eight million homes. What is radon gas? What are the dangers of radon in the home? How can homeowners eliminate it from their homes? Deep inside the earth are radioactive metals like radium and uranium. They break down naturally in stones, water, and soil. As they break down, the gas they produce travels up through the soil. The gas enters the air and can make its way into buildings and become trapped. 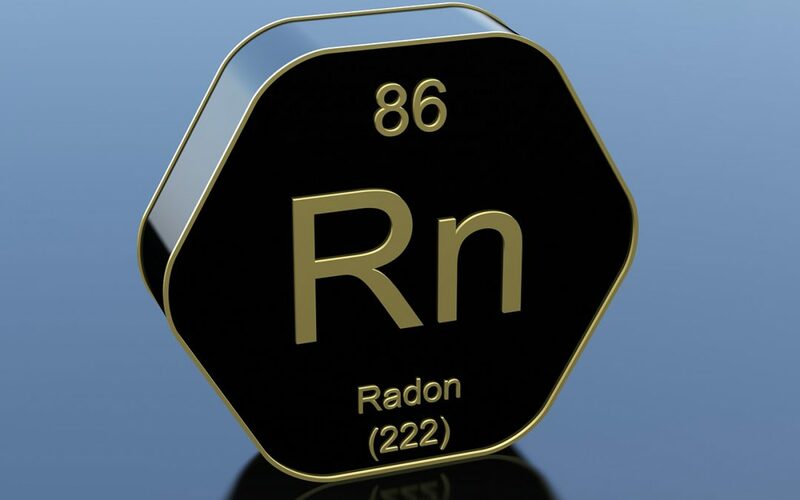 One of the dangers of radon in the home is the gas can enter the air through well water. It doesn’t happen with water from rivers, lakes, or reservoirs because the gas escapes into the air before it is inside the home. However, if radon is present in well water, it can enter the home through the water supply and then be released indoors. The dangers of radon in the home come from the fact that it can’t be seen, smelled, or tasted. It’s an invisible gas that enters the air through cracks in the foundation or walls of buildings, the openings around pipes, building joints, and spaces behind walls. Radon enters buildings with basements or without; the gas can be present in any building that is sitting on an area with high levels of radon. The Centers for Disease Control reports that radon is the top cause of lung cancer among non-smokers, even worse than second-hand smoke. Smokers who live with unsafe levels of radon gas are at an even higher risk of getting lung cancer. The CDC says it may take years before symptoms appear, which is why it’s so critical to have a professional test your home for radon early and often. How Can Radon Cause Cancer? The main concern with radon is that when the gas is inhaled, radioactive particles become trapped in the lungs. Over a period of years, the particles accumulate, which can mutate cells and cause lung cancer. The CDC reports that over 20,000 deaths from radon-related lung cancer occur in America every year. Studies show that radon damages DNA on a cellular level. The research concludes that residential radon poses a “serious health concern.” The studies, over 9,000 in all, gathered all available information on radon and its health risks. They then determined that there was a direct correlation between radon and the risk of lung cancer. How Can I Find Out If There’s Radon In My Home? The EPA has designated action levels for when radon levels are too high. Having your home professionally tested is the best way to find out if you are at risk for the dangers of radon in the home. Having a professional test for radon levels in the home eliminates possible mistakes or errors produced by over-the-counter DIY radon testing kits. Professionals are trained to test for radon and will give you accurate results so you know whether you’re safe or need to have radon mitigation. A radon test is too vital to the health of the family to leave to chance. No matter where you live, you should have your home tested for radon. If you have levels higher than 4 pCi/L, it doesn’t mean you need to walk away from a deal or move; a radon mitigation system can be installed that will reduce the levels of radon in your home and keep your family safe. Olympic Shield Home Inspections provides radon testing and other home inspection services to Western Washington. Contact us to book an appointment.